Jon Kim (far right), co-chairman of the club and Amb.Chung Choo-nyun (fourth from left) join a cake-cutting ceremony along with other club officers. Co-chairman Abdul Mutalib Awang is seen at second from right. 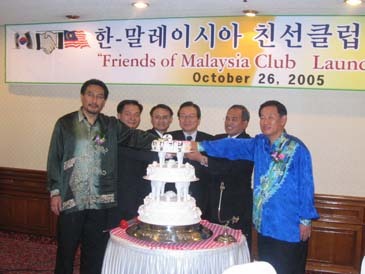 Friends of Malaysia Club (Korea) was officially launched on Oct. 26, 2005 as Jon Kim, vice president of Korea Tourism Association and Abdul Mutalib Awang, director, Tourism Malaysia Korea were inaugurated as co-chairmen of the club respectively in front of club members, distinguished guests and media representatives including Amb.Chung Choo-Nyun, vice chairman of Seoul Tourism Association, Lee Sang-Seok, executive director of the Korea Times and Kah Jae-Moh, president and CEO of Global Korea Inc. Opening remarks were given by Jon Kim, co-chairman of the club, who said "This is a great day for Friends of Malaysia in Korea and talked about the importance of the inauguration, saying it provides an opportunity to reaffirm the club's abiding commitment to its mission. More than 40 well-wishers including club members attend the launching ceremony . Kim noted that bilateral relations between Korea and Malaysia have expanded in all areas notably in the economic sector, thus establishing mutually beneficial cooperation since the two countries established official relations in 1960. He then said that the future is holding for much room to be expanded in the bilateral relations and pledged to spare no efforts to take a lead in creating the conditions necessary to foster friendly relations between Korea and Malaysia. "On behalf of Friends of Malaysia Club, I would very much appreciate your continued dedication and participation in activities of the club for the promotion of friendship between Korea and Malaysia," he concluded. In his congratulatory message read by Abdul Mutalib Awang, director, Tourism Malaysia Seoul, H.E, Amb. Dato M. Santhananaban of Malaysia conveyed his warmest greetings and good wishes to all of members of the newly formed club. "I was informed that the main aim of the club is to stimulate exchanges and mutual cooperation in various fields such as tourism, education, culture, industry, trade and economy in order to contribute to the development of the two countries," said Amb. Santhananaban who was unable to be here for his business trip to Kuala Lumpur in connection with the forthcoming APEC meeting to be held in Busan next month. Amb. Chung and officers of the club pose for camera with congratulatory flowers sent by Korean Air and other travel trade organizations. They are from left Amb. Chung, Abdul Manaf Harun, area manager, MAS, Kim and Mutalib. In the field of tourism, the Malaysian envoy went on to say, it is an excellent opportunity to foster a closer relationship between people of the two countries. "Being important industry of our economies, tourism provides employment, helps to improve quality of lives and promotes friendship, networking and widening of the perspectives among the two countries," Amb. Santhananaban maintained. Korea and Malaysia are important partners in the tourism market, The total amount of tourist exchanges between Korea and Malaysia reached 185,000 in 2004 registering 91,000 of outbound Korean tourists into Malaysia and 94,000 on inbound Malaysian arrivals. As neighbors belonging to the same continent of Asia and also as developing nations engaged in the task of nation building, Korea and Malaysia have been partners from the very beginning and enjoying excellent relationship. Korea and Malaysia are part of the dynamically growing region of East Asia. Malaysia is now Korea's 8th largest trading partner. 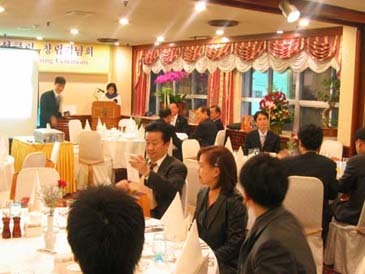 There are more than fifty Korean trading and construction companies with offices in Malaysia, and about 5,000 Korean expatriates are living in Malaysia. Abdul Mutalib Awang, director, Tourism Malaysia and co-chairman of the club makes congratulatory remarks. 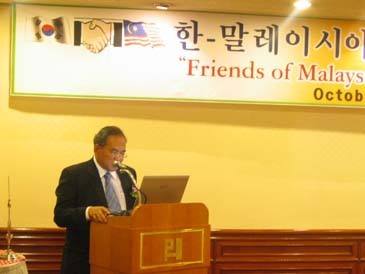 Friends of Malaysia Club aims to promote more interaction between the people of the two countries, by fostering tourism, social, cultural and economic ties between Koreans and Malaysians as a non-government organization. 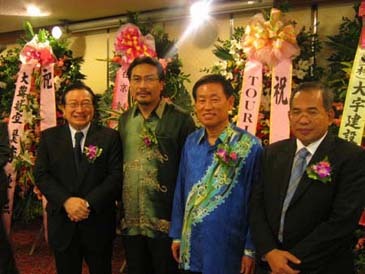 In July 2005, Mr. Abdul Mutalib Awang, Director, Tourism Malaysia Korea brought up the idea of establishing a club to promote mutual understanding and friendly relations between Korea and Malaysia in the private sector when he had a friendly get-together with a group of Korean friends. Mr. Abdul Mutalib Awang, Director, Mr.N.J.Noel, Deputy Director, Mr. Kim Jong-Uk, Vice President of Korea Tourism Association and President & CEO of Apple Tour and Mr.Min Byung-il, former Korea Herald Chief Editor held the first meeting at MTPB office on July 27. After weeks of brainstorming and feasibility work, they got together over luncheon on Aug.17 at Presidential Hotel in Seoul to discuss in detail on how to create the club. Composition of Board members was made. H.E.Amb: Dato M. Santhananaban of Malaysia accepted the club's offer to become honorary adviser. Among other board members are Mr. Park Chan-Dong, CEO, SIGMA, Mr. Abdul Manaf Harun, area manager, MAS Korea and Mr. Min Byung-Il, former editor of the Korea Herald. The post of secretary and treasurer went to Mr. Jay Joo, marketing manager TM Korea.